As we all know, better organization on our hard drive leads to improved speed and reliability. However, some advanced partition management is unavailable with the windows built-in disk partition manager. So third-party partition manager software is still a great need. If you’re looking for an all-in-one software for hard driver management and disk partition, Partition Assistant Professional Edition from Aomei Technology is a nice choice. Aomei Partition Assistant Pro Edition is a highly-efficient, easy-to-use and multifunction partition management software, with user friendly operations to assist you mange the partitions of your hard drives. It works similar to the popular Partition Magic application (a famous trademark software of Symantec Corporation) but comes with several advanced tools that can perform more complicated partition operations easily. With its help, It is easy and reliable to Resize and Move Partition, Repartition Hard Disk, Align Partition, Quick Migrate OS to SSD, Copy Partition/Disk, Fix System/Partition, Convert primary to logical partition and vice versa, Convert disk from MBR to GPT without initialize disk and vice versa, and create bootable CD which could help you launch Partition Assistant in Windows PE in case the current OS crashes. All these changes of partition can be previewed before applying to hard disk and all data is completely protected during all operations and without the risk of data loss (However, we still recommend you first copy and backup your important data to an external hard drive before you operate the partition). In addition, the new Windows To Go Creator enables you to create a bootable USB drive and allow you to boot Windows 10, 8 or 8.1 from this USB drive. 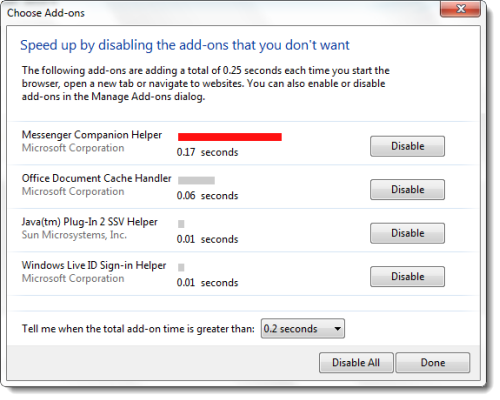 This allows you to save your personalized Windows 10, 8 or 8.1 OS and use it on any compatible device. Attractive operation is the built-in One-Click Wizard Guides: Disk / Partitio Copy Wizard, Extend Partition Wizard; Migrate OS to SSD or HDD, Partition Recovery Wizard, Make Bootable CD Wizard, and Windows To Go Creator. With these wizards, you can quickly and easily accomplish your jobs as you expect without losing data. 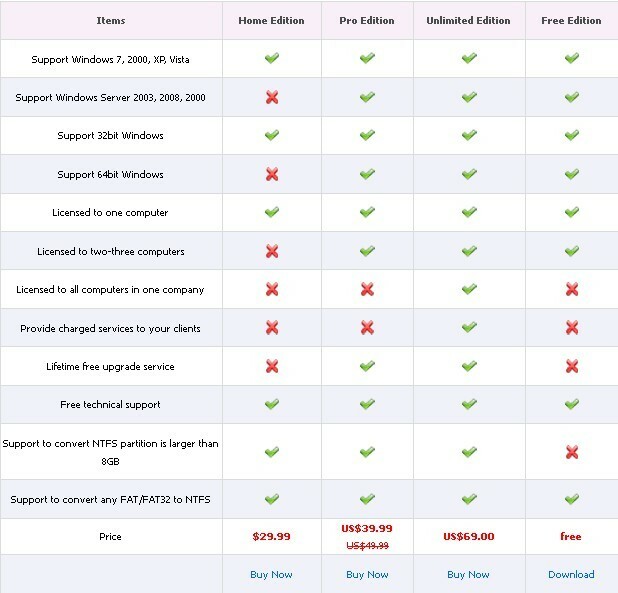 Support running on Windows 8, Windows 7 (SP1 included), Vista, XP, 2000 (both 32bit and 64bit). AOMEI Partition Assistant Pro Edition supports all the storage devices which can be recognized by Windows, such as IDE, SATA, SCSI, SSD, USB external disks, flash drive, Fire wire disk, Hardware RAID and Flash drive and so on. It is able to support MBR (under 2TB) and GPT (larger than 2TB) with 128 hard disks, with file system FAT, FAT32, NTFS and also EXT2, EXT3. Support running on Windows 10, Windows 8.1, Windows 8, Windows 7, Vista, XP, and 2000 (both 32bit and 64bit). AOMEI Partition Assistant Pro Edition normally charges $36 per serial number / license key. But Comss.ru are having a giveaway of AOMEI Partition Assistant Pro Edition 6.3, where everyone can download a full version copy for free. The giveaway is only valid for a limited time. AOMEI Partition Assistant Pro 6.3 is not the latest version on its branch because the developer has released Partition Assistant Pro 7 software sometime ago. But this does not mean in any way that version 6.3 is useless or obsolete. The features available are still current and compatible with the needs of a regular user. Go to the giveaway page here (Page in Russian, use Google Translate if needed) during giveaway period to get your free license and download the giveaway package. And here is the direct download link for giveaway package. Install the program and activate full version with the license code on giveaway page. AOMEI Partition Assistant is a portable program, you can copy the installation directory of the program (such as: C:\Program Files\AOMEI Partition Assistant) to your USB disks or flash dirves in order to use it without installing on other computers. The same license can also be used to active full version AOMEI Dynamic Disk Manager Pro. AOMEI Partition Assistant is designed for managing basic disks, while DDM is used to manage dynamic disks. For those who will be missing today’s giveaway, the freeware AOMEI Partition Assistant Standard Edition (formerly Home Edition) offers pretty much all features the average user would need to manage their disks and partitions. It worked on 7.2 version too. Hi joe, after installation there will be a activated pop-up window asking your to enter a license code to register full version. Q. There is no activated pop-up window? A．Please check if it’s a Demo or Standard version. A Demo version can not be activated. Please use the download link provided in this post to download the Standard installer. I recently had to reinstall my entire Windows 10 computer OS and programs, losing all of my previously gotten free programs. Today’s giveaway arrived in the nick of time to avoid having to buy a disk management program. No problems downloading or installing using the direct method from this page / website. Many, many thanks my friend. I am very grateful for all the work you do to find these gems – over the years you have saved me hundreds of dollars in program costs, which I appreciate beyond simply saying “thanks”. You are a true Prince! Hi Master, you are always welcome. Have a nice day! Maybe you could consider mentioning what the upgrade really means? For many users of V5.6 knowing this it wouldn’t be worthwile to upgrade? Certainly when that means exchanging the normal license for a GotD-one? I was just getting ready to purchase this program when I found this post. I downloaded the program via the direct link, installed and yes – the free license key is STILL working!! I then used it to convert my Windows 10 System (boot) drive from a MBR to EFI GPT. Worked GREAT! Thanks. I am downloading now, how is it don’t know, after install it i will response with my answer…. I just wanted the crack file for AOMEI Partition Assistant Pro Edition 5.5 (DEMO). This is not a warez site. So, your request has no place here. Sadly it does not support encrypted (DiskCryptor) drives. Same with EaseUs and MiniTool. All three show partition as unknown or “other”. For their Backupper I asked for support. Let’s see when they add it. Other than that, their Software looks promising. Though from the looks of the Software (Partition Tools) I think all three companies (AOMAI, EaseUs and MiniTool) have the same programmer. Thank you BrollyLSSJ! Wish you all the best. Hi Home User, You have to install and activate it before the Giveaway offer for the software is over. I have it downloaded but not installed yet. and letting me know. Much appreciated! Thanks for all MostIwant and AOMEI! A “Thanks” for this giveaway. AOMEI is my default partitioning software, and I appreciate being able to keep my software up-to-date with renewed download offers (the previous version from prior offers was 5.2). The software loads and operates at a very “fast” speed; I’ve also found their Tech Support very helpful. Grab this while you can. Dear Amann, this giveaway is for everyone. Please go to the Glarysoft giveaway page to download the installer package (http://giveaway.glarysoft.com/aomeipartitionassistantpro5.2rerun-459/), and then follow the instructions in the readme.txt file which is included in the package for proper activation. Please note that the giveaway will be valid for today only (24 hours on October 7, 2013)! файлом можно заменить японский язык, будет русский интерфейс при переключении на японский. Перевод полный и проверен лично мной. Dear Kunzite, Thanks for your work. Have a lovely day! give me crack of it. Gracias William!!.. 🙂 saludos desde Honduras! @Pregg, You are welcome. Have a nice day! I subscribed, got email from feedburner, confirmed on feedburner website. Over an hour with no download link or serial. Is this a scam? @Skeptical, the offer has been tested and verified. You may need to check your spam folder for the serial key & download link. Who asked you to register at feedburner. Just follow the link on megaleecher site and leave your mail id there and click submit. No confirmation will be asked, key will be sent to your email. I ALSO DOWNLOAD AOMEI5.1 ND WANT FOR CHECK I WIPED MY WHOLE PARTITION OF DATA…. AND WHEN I CHECK FOR RECOVER MY DATA PARTITION BUT DEMO VER. SHOW PURCHASE IT.. I M DISAPPOINTED TODAY I SEARCH 5.1 SERIAL KEY BUT NO FOUND THEN I SEARCH A NEW BACKUP RECOVERY SOFTWARE AND ON FILEHIPPO.COM I SEARCH AND DOWNLOAD…. EASUS PARTITION MASTER HOME…. AND INSTAL AND I RECOVER MY DATA PARTITION OF 342GB.. ND THANK…GOD…. FRENDS…. I GOT IT WITHOUT ANY PURCHASE KEY…… I 9 WHAT SADNESS OF DATA LOSS SO T TOLD U…. TRY IT….. I received an Aomei Technology’s email with the activation code, but there is not a link for download the software. Aomei Partition Assistant 5.0 pro is an excellent and useful partition management software. Many thanks for the giveaway contest. Good luck to all.